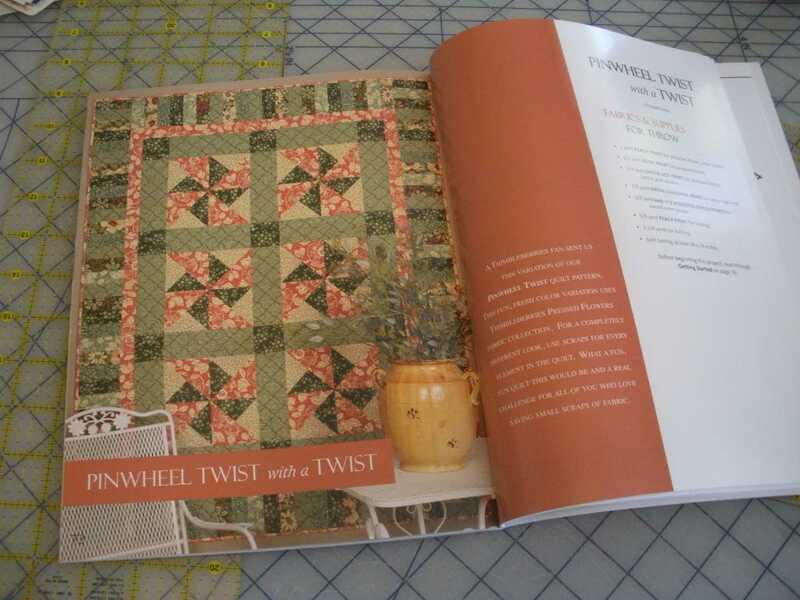 June | 2012 | Quilting my way through life! Whenever market is finally over, it takes me a while to get back into the swing of things. I work so many hours getting my designs ready for market that at some point I stop doing everything and do just the bare minimum day-to-day and let things go. I still cook, and clean, but not the deep stuff. Then, such as now, I need to sew! I bought this book this year to get back to my “roots” of sorts. 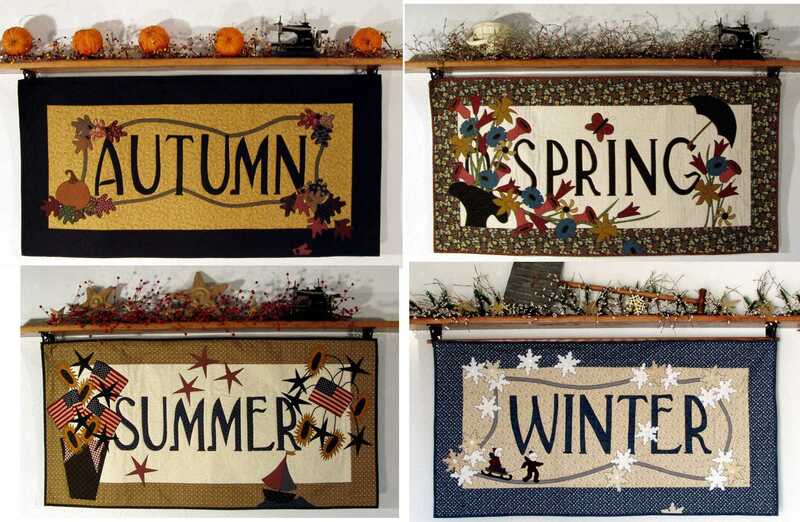 Although my first official quilting project with quilt shop fabrics was with Debbie Mumm’s Sunflowers, and now that I think about it, it was 20 years ago this month that I started quilting…my first love (addiction) was Thimbleberries! 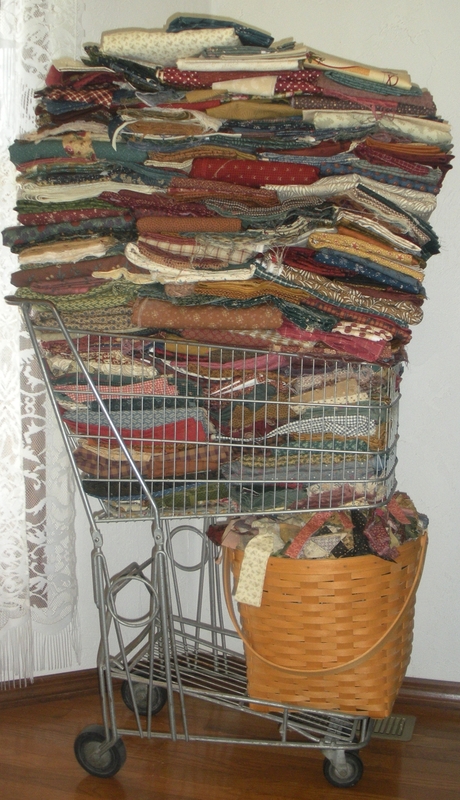 I collected MANY pieces of Lynette’s fabric (a bit of an understatement???). This sits near my computer in my sewing room. It’s a lot, but not even close to all of my Thimbleberries stash. The rather large Longaberger basket is full of Thimbleberries scraps from projects past. There are some suitcases around the house that have my reds, blues & creams, and some bigger pieces that could be used as backings if only I could bear to cut them… Oh and then there are the storages boxes… I also have a suitcase full of my Thimbleberries patterns. I know, it’s an addiction! and An Old Fashioned Merry Christmas, to name a few. This dear, antique shopping cart, although in plain sight for over 10 years, has definitely been neglected. Yesterday I decided to make a project from the new Thimbleberries book and use my beloved stash!!! 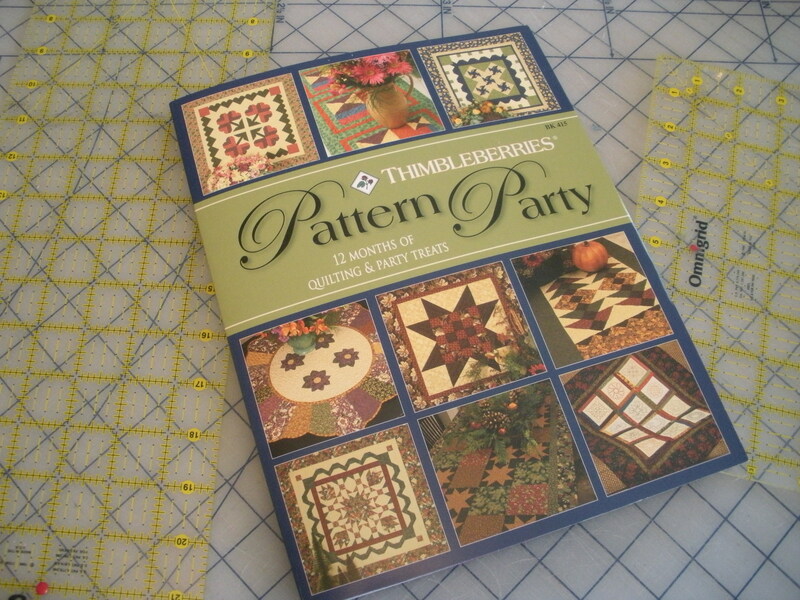 The fun thing about Thimbleberries patterns is that they are quick and easy. 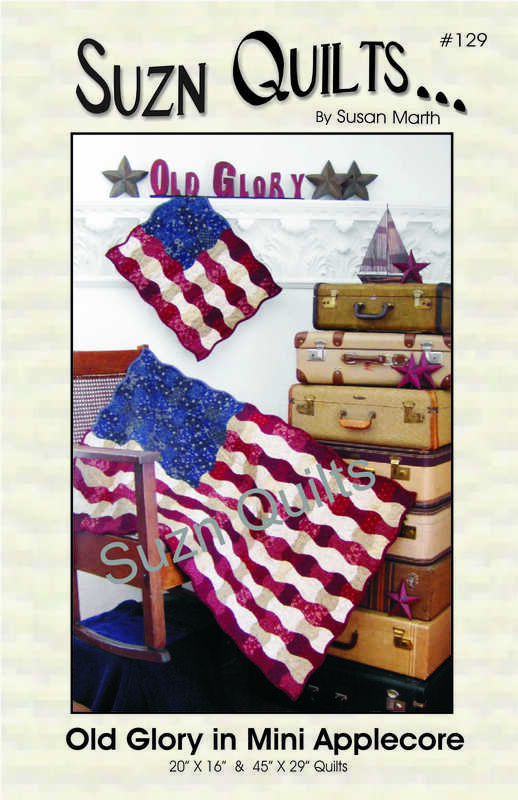 The 6, 12-1/2″ blocks are already sewn. 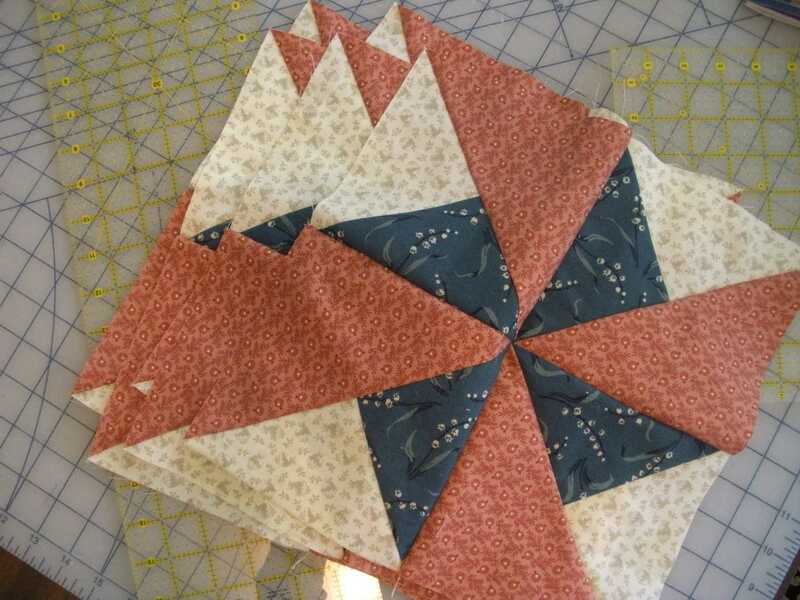 I need to cut the sashing and assemble the top next. Rosemary’s club meets next Thursday. I hope to have this done for show & tell then. 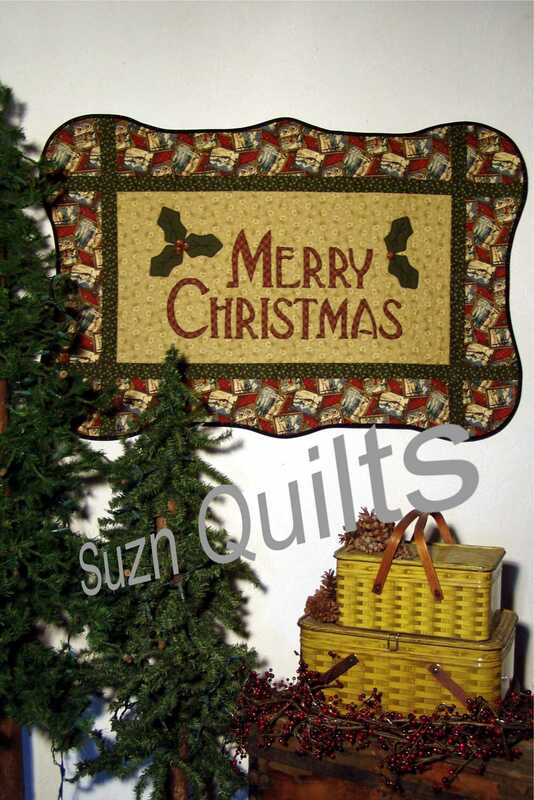 My nephew is getting married the 16th and I have family coming in town Monday night and I have Christmas fabric coming for a project that is getting down to the wire for the deadline that will definitely take precedence, but I’m determined to get some R & R sewing done just for me!!! 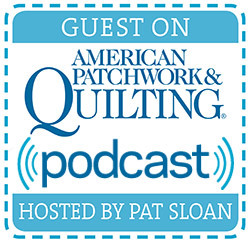 Do you have a first love in quilting?? ?